Surprise! A new way of delivering our newsletter that everyone is loving- simpler and all in one page. It’s been a while – I hope life is treating you well, and, if not, you are treating yourself well. I’ve had a strange few months where I’ve broken two toes (on different occasions), contracted a dreadful coughing virus twice, and now have cellulitus on my nose! I haven’t been sick since March 2009 so this is an unusual experience and probably contributed to me being a little late with this newsletter. This month I’ve found a few videos that have to do with taking risk, failing, making something out of life’s mess and other related topics. I hope they are balm to your soul. 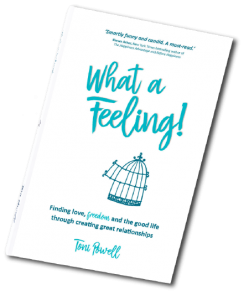 At the bottom of the newsletter you’ll find the link to the blog I’ve written called Failing is Fabulous. What do Ian Thorpe, Karl Kruszelnicki and I have in common? We all advise the Prime Minister! Strange things happen. 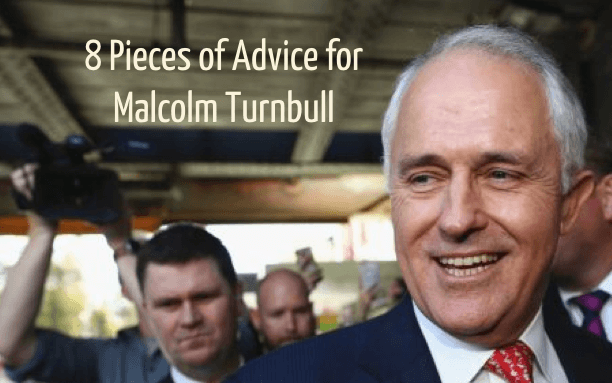 While being interviewed by Radio National Life Matters program recently they asked for some advice for the PM… I gave it and it is included in this article Eight Pieces of Advice for Malcolm Turnbull. I’m very much hoping he gets to read this list. Click pic for article. Great little minute of film that gives a bit of perspective not only on the stated judgements of others but also on why there are great reasons to keep moving forward after failure. I think this bike is very cool – I want one! Imagine though, the flak he got when he floated his idea. It took him years, probably loads of mistakes and wrong directions, to get this bike out in the street. It’s so sad that Steve Jobs died so young, he had much to teach us. This little snippet taken from his incredible graduation speech is a great glimpse into how the successful use and value things going wrong. For a parent there can be, surely, no greater sense of perceived failure than to have been unable to keep your child safe. 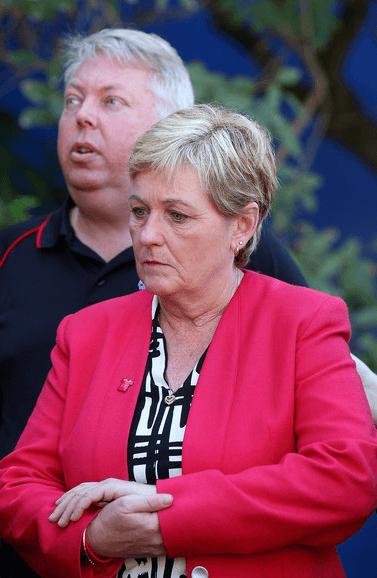 Daniel Morcombe’s parents would know this feeling well. 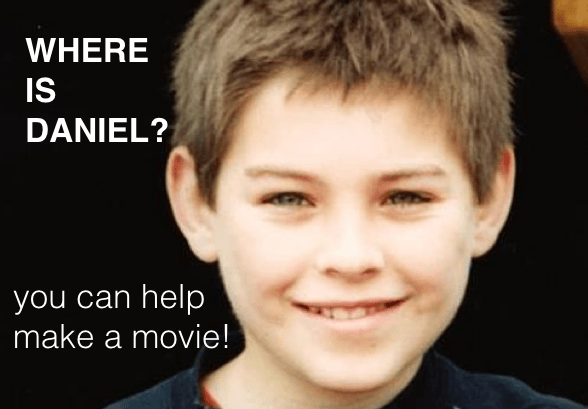 The facts won’t matter – no matter how brilliantly Denise and Bruce Morecombe cared for Daniel (and I think everyone knows they did) – they will likely feel they failed in their leading role – as parents. When a child dies, is taken, or is separated from you in some permanent way, the grief is colossal. Then mix in feelings of failure and things get toxic. The longing to have done something different that day, that year, that life, and the sense of responsibility for the dreadful outcome would destroy some people. This astonishing couple chose not to wallow in their pain, grief and toxic thoughts – they stood up strong and challenged the system that would have allowed his murder to go unsolved. They challenged the system that wouldn’t start searching for a missing person until a certain number of hours had passed. In short they became world changers. The Morecombes are incredible and inspiring people and their story needs to be told to a wide, wide audience because they are resilience in action. YOU can help inspire other people who are failing and foundering to stand back up and make something beautiful from their pain. YOU can help people to take action when the circumstances are dire. Two of the people making this film, Rod Hopping and Ang Vogt are two people who have MOST helped me through failure – they are wonderful humans making a wonderful and inspiring project.. CLICK Daniel to get involved. We’re very excited to be announcing that our ‘lifeclasses’ will be on in August, albeit with new names. We’ve rebranded them – what do you think of our new website pages? Click on the images in the side bar to the right to find out more (and be dazzled by my skill with WordPress!!). We’ve programmed the Relationship class for the Saturday due to popular request. Early Bird Prices now on – get $100 off! Previous attendees get Alumni (50% off general admission) prices and also get the opportunity to volunteer and bring a friend for free – we need a few volunteers at each class. Use contact form below if you want either of these options. I’ve decided to get back to blogging – this new blog on failure is already proving to be very popular. You can also use that big button below to make contact! Thanks for the positivity attached to failing. Inspiring clips. Love your newsletters and the new format is so easy to navigate. Particularly loved the Steve Jobs clip as his words are so, so wise. You have to find what you love and not settle for anything less. It is obvious that you have done that Toni- always such a passion and genuineness in all your work. Hope you are feeling much better after a bad run! Take care. Aww, so nice to hear from you Jayne… big hugs. Glad you like it… I thought it seemed easier to use. I receive soooo many newsletters in my inbox that immediately get deleted except yours. I always open yours and get a lot out of what you put together. I can see it’s very considered and intentional. Thank you! PS love the new format – much easier to navigate. U are awe inspiring as is the new format and videos. Take care of oneself. ?? Glad you enjoying, it makes it worth the uphill of learning how to work the backend of this website! 🙂 You are so nice Jane! Thank you. Hi – heres to good health! I like the new format. Gives us a chance to go back and forth when time permits. Always thinking!! Good on you. I’m glad you do Shannon!